Update: To make up for closing on Friday due to the weather, the carnival will open on Labor Day, Sept 3rd, from 1-10pm. Ride wristbands will be available for $30 each. Music by Naughty Humphrey starting at 7pm. 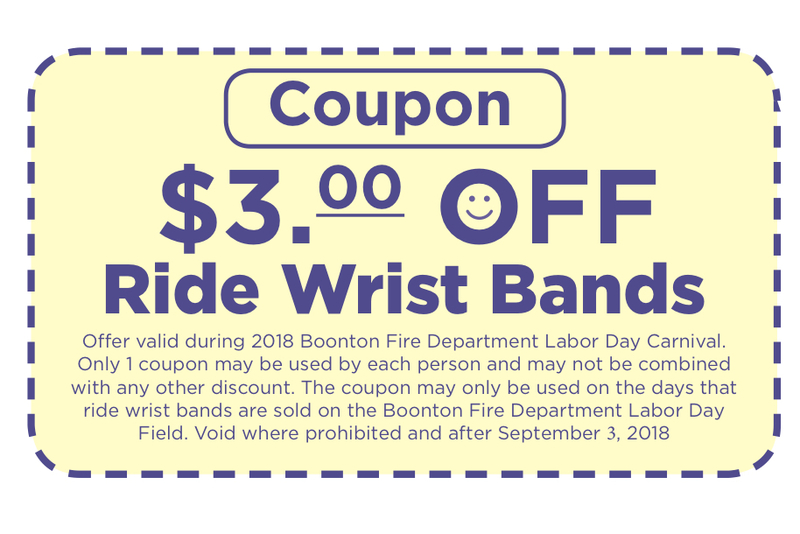 The Boonton Volunteer Fire Department, celebrating its 127th year, will continue its tradition of sponsoring a carnival and parade over Labor Day weekend. New Jersey Firemen’s Home will be brought to the reviewing stand so that they can view new equipment, see comrades and possibly watch their former units on parade. Sunday will feature a pig roast at 5 p.m., music by Street Hassle 7-11 p.m., and fireworks at 10 p.m., with a family seating area available. Bring chairs and blankets. Finally, there will be a super 50/50 drawing at 10:30 p.m. The rain date is Monday, Sept. 3rd. 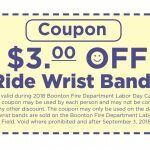 Please visit the Boonton Fire Department’s Facebook Page to find out more information.